This tutorial will help users of Facebook make full use of the social network’s privacy features and control the posts that they make. Please note the date of this article as Facebook is always making tweaks to its systems and this post may not be relevant after a period of time. 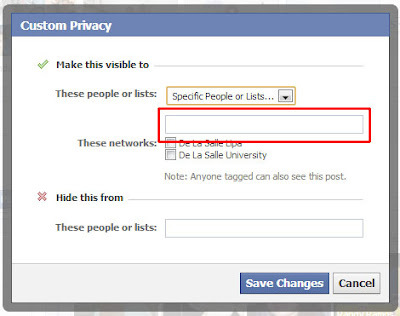 Check out the status box and note the privacy drop down menu. Click the inverted arrowhead to bring it down. Public posts are seen by everyone on Facebook who goes to your profile page and will appear on the NewsFeeds of people who are subscribed to your public updates or posts. 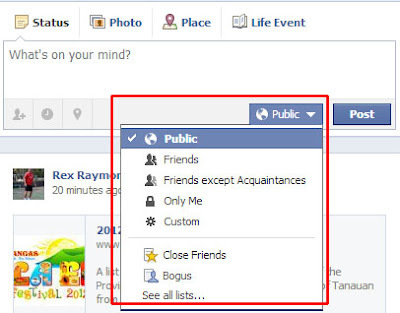 Acquaintances and Close Friends are default lists provided by Facebook to enable users to control what they see on their NewsFeeds. A friend included in the Acquaintance list appears less; while those on the Close Friends list appears more. 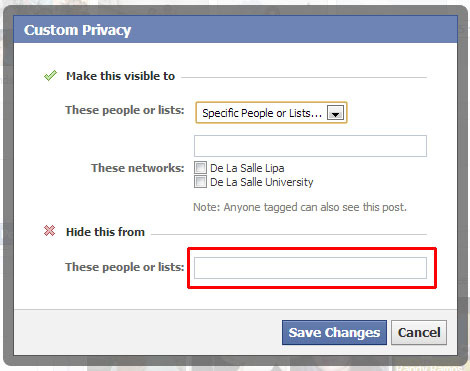 All users may create their own lists; and the how-to will be provided in another tutorial. All options in the drop-down menu are as stated, except “Custom” which will be explained below. Click on the menu choice “Custom.” A pop-up window will appear with more options. 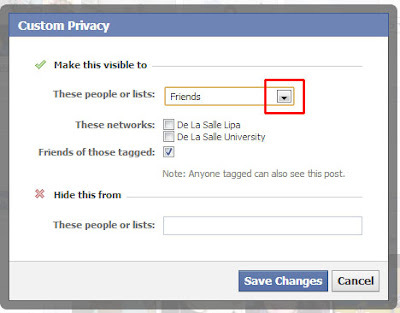 Click on the inverted arrow to bring out the options. 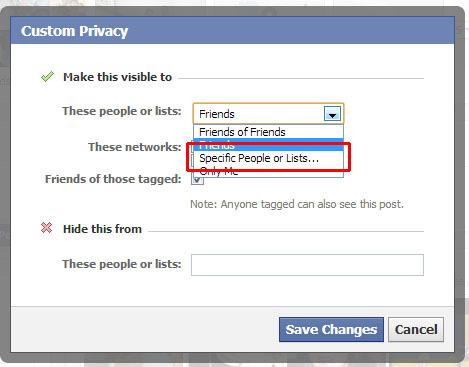 Type in the name of a Facebook Friend or List of Friends in the form box that appears. That’s it! 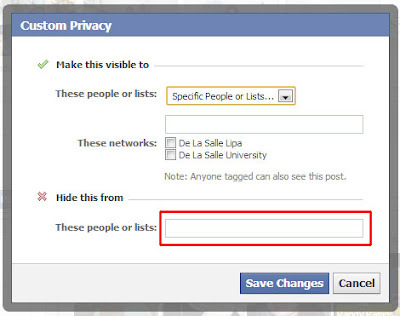 Facebook keeps the last privacy settings you used so make sure you change according to your preference every time you make a post using the same steps as shown to you in this tutorial.